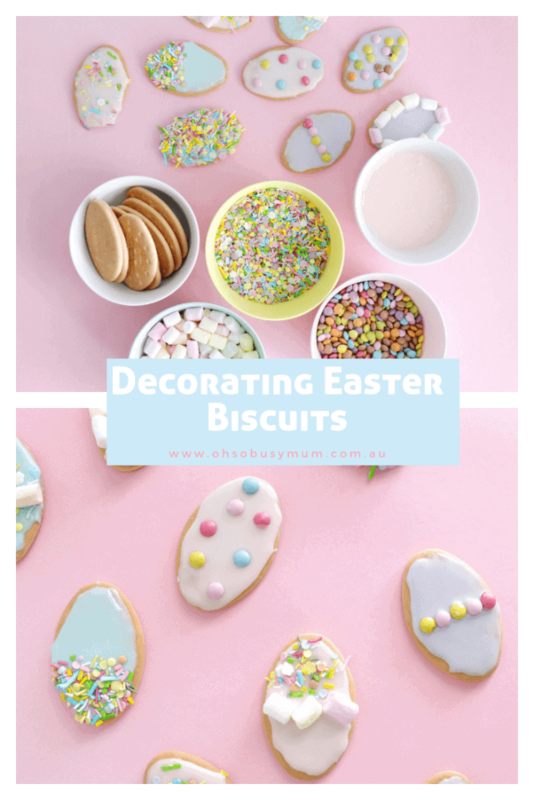 If you’re looking for a fun activity to do with the kids, try decorating these Easter biscuits! There is no baking required (#winning!) and it only takes a few minutes to set up. You can use any decorations you wish like Smarties, sprinkles or decorating gel. I used what I had in the pantry. You could even buy pre-made icing that comes in the tub to make this activity even easier! 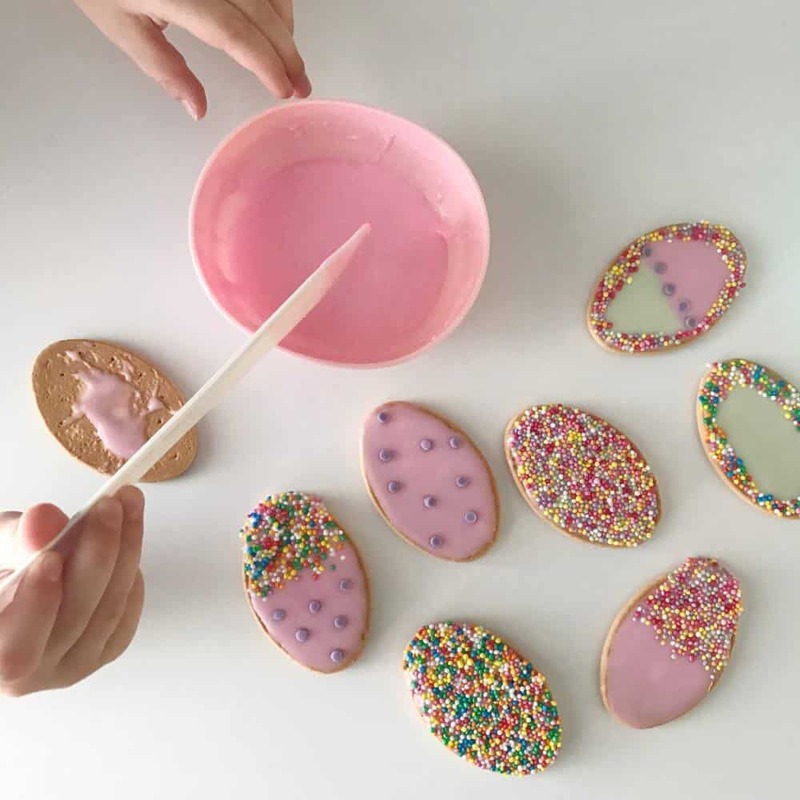 The icing will set hard on the cookies after about 30 minutes, so make sure you decorate them while the icing is still soft. For a dairy-free alternative, you can replace the milk with some warm water. Mix icing sugar and milk together in a bowl. 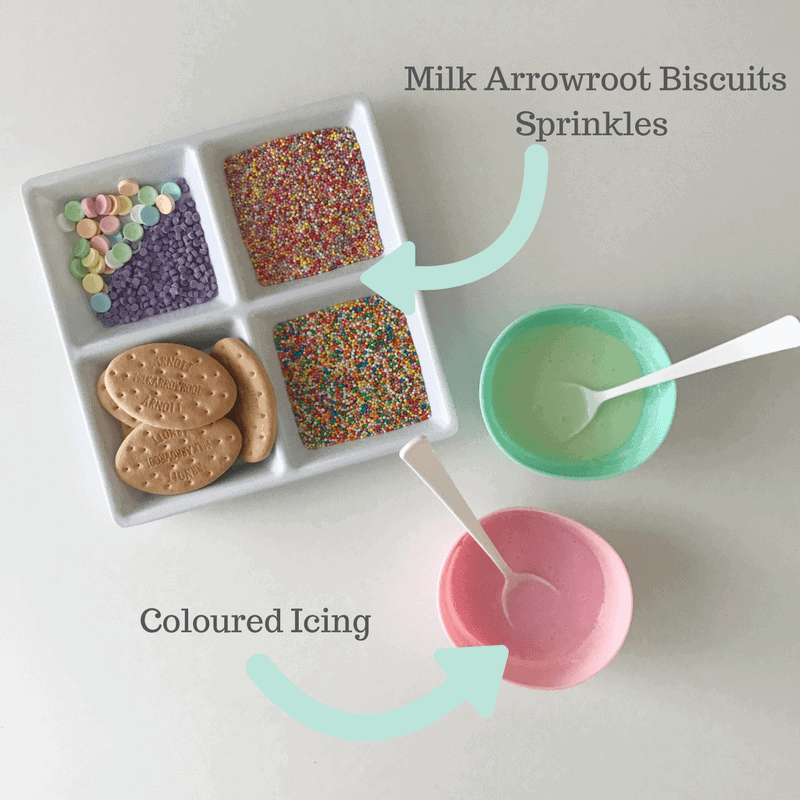 Separate icing into smaller sized bowls and add food colouring. 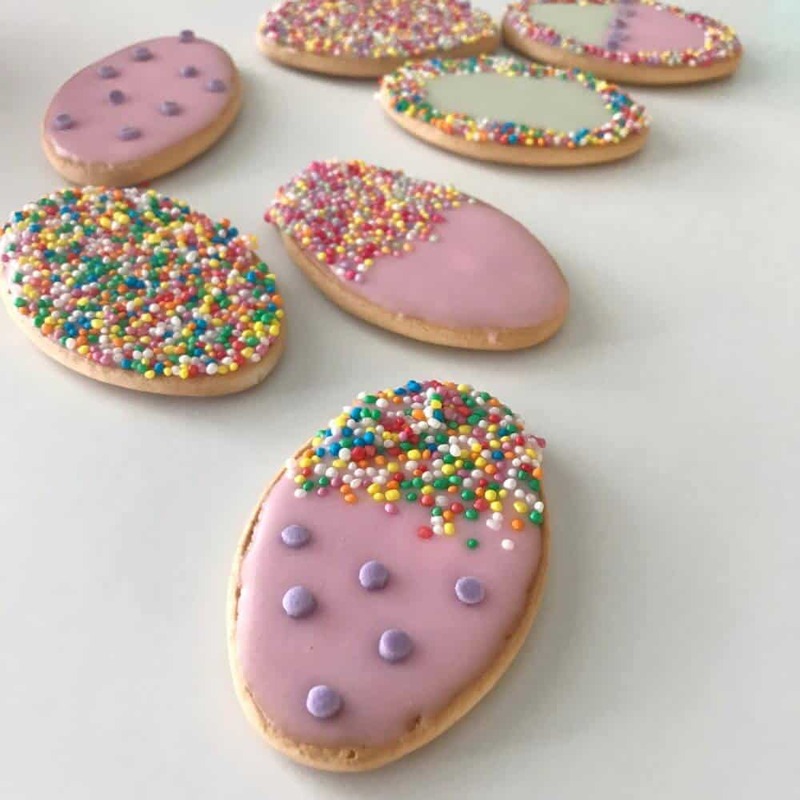 Using a knife, spread the icing on the biscuits and decorate. Store in an airtight container for three days. 6 Christmas Cocktails You NEED To Make! What biscuit do you use for a dairy free alternative? You can buy dairy free arrowroot biscuits in the health food section. Hi, I made these and 3 is way too much milk. I remade with 1 and it worked out good. Thank you for the great idea. In terms of storage in an airtight container, does this then need to be refrigerated? To use the icing after storing, do I just re-mix it to loosen it up before frosting on the arrowroot biscuits? I need to make the icing in advance, for a playgroup activity, as I won’t have time to make it the morning of. Thank you!